Planning a wedding reception is not an easy task. With picking the date, venue, planner, caterer, flowers, music, entertainment, colors, and more, the “to-do” list just never seems to end! The Fort Worth Club is here to make that process just a little bit easier with our Wedding Reception Packages. Available at 4 different price levels, our packages include everything you will need for your wedding reception in one easy per-person price: the room, all food (buffet or plated), a 4-hour bar package, all set-up and service, and even custom cakes! Besides tax and service charge, there are no additional fees you need to worry about- we keep it all simple and upfront. We also offer complimentary parking in our garage, as well as the option to reserve up to 20 of our Inn at the Club hotel rooms for your guests. 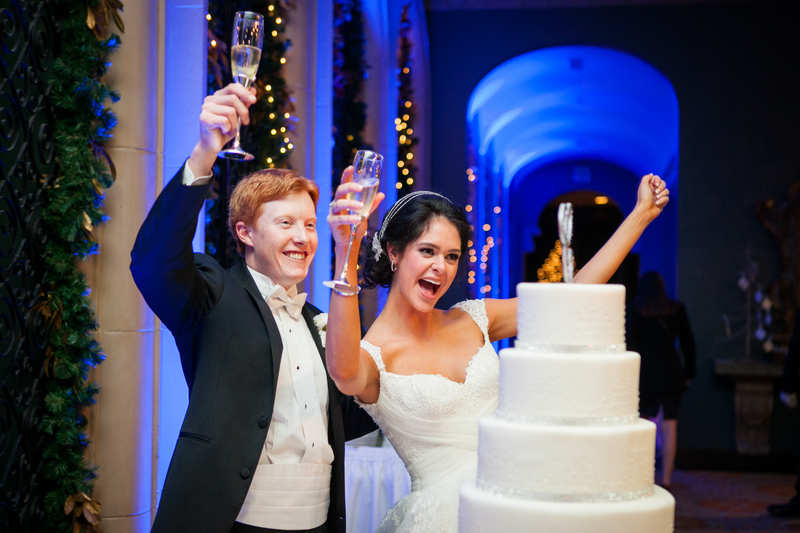 Our packages are designed so that weddings of any size can celebrate here at The Fort Worth Club. Our various reception spaces can accommodate anywhere from 50-500 guests, and we can host both ceremony and reception for up to 250 guests utilizing both ballrooms. Contact one of our Catering Managers today by filling out our online inquiry form, or calling 817-338-3491.